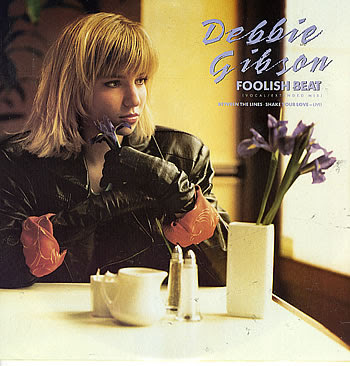 Not unlike Sheena Easton, a friend tells me Debbie Gibson shies away from her own material while performing live, opting instead to cover show tunes and classics. Why either of them would do this -- especially when you wrote as many good songs as Debbie did during her electric youth -- is entirely beyond me. "Foolish Beat" was the fifth(!) single off her debut album, "Out of the Blue," and the only one to top the charts.